THIS week, in a subterranean bar inside Southwark’s Hixter Bankside restaurant, I had the pleasure of sampling for the first time both Silent Pool Gin and their classy new range of mist sprays in three different aromas, including an early precursor to Christmas! I and a friend watched as some classic Martinis and G&Ts were given an extra lease of life with spritzes from the petite liquid garnish bottles, the most notable of which had to be the Christmas Edition. It imparted the unmistakable flavours of traditional mulling spices – cinnamon, cloves and nutmeg – which certainly evoked the soon-to-be festive spirit despite the September sunshine outside. The other piquant flavours were Bergamot Orange, which added a sophisticated citrusy scent, while Kaffir Lime gave a further refreshing zing, ideal for those who prefer a zestiness to their cocktails. 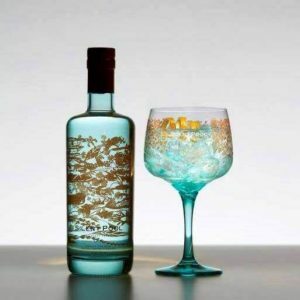 Each spray covers the surface of your tipple in a delicate aromatic film, giving your martini or G&T the extra dimension it can sometimes lack. 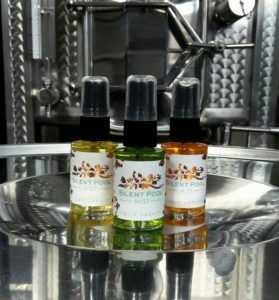 The sprays are made by steeping the peel in spirit with angelica and orris root, from which oils are then extracted and the remaining liquid blended with chamomile & rose tea. Produced with a unique blend of 24 botanicals, Silent Pool Gin itself is born from the depths of an ancient pool in the Surrey Hills, fed by an artisanal spring flowing from within the heart of the chalk downs.